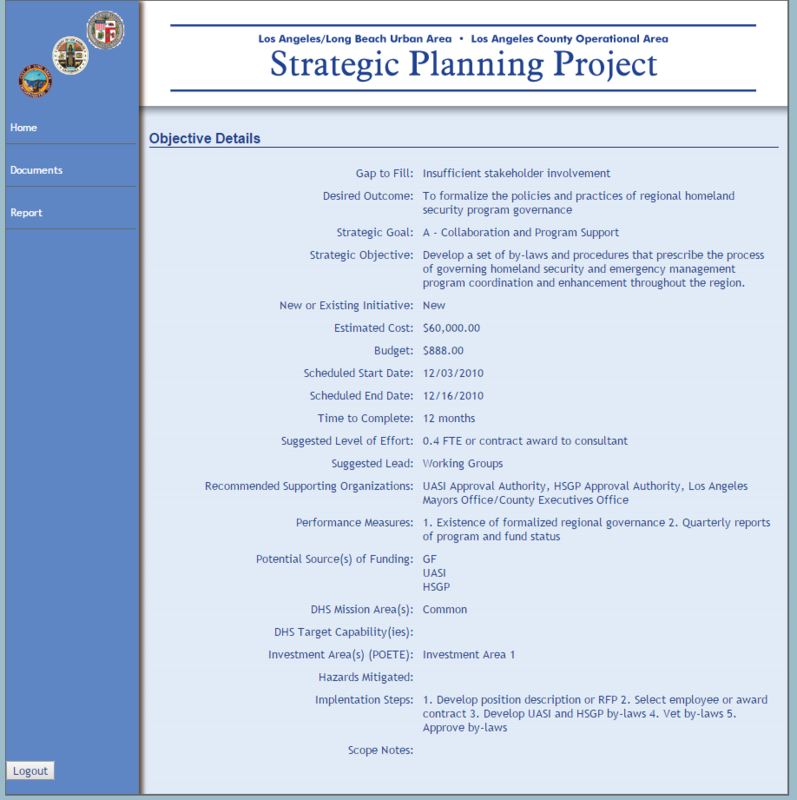 I developed an online tracking system for the Los Angeles / Long Beach Urban Area and Los Angeles County Operational Area for their strategic planning project customized to the agency’s work flow and reporting processes. Below are some screen shots of the system. 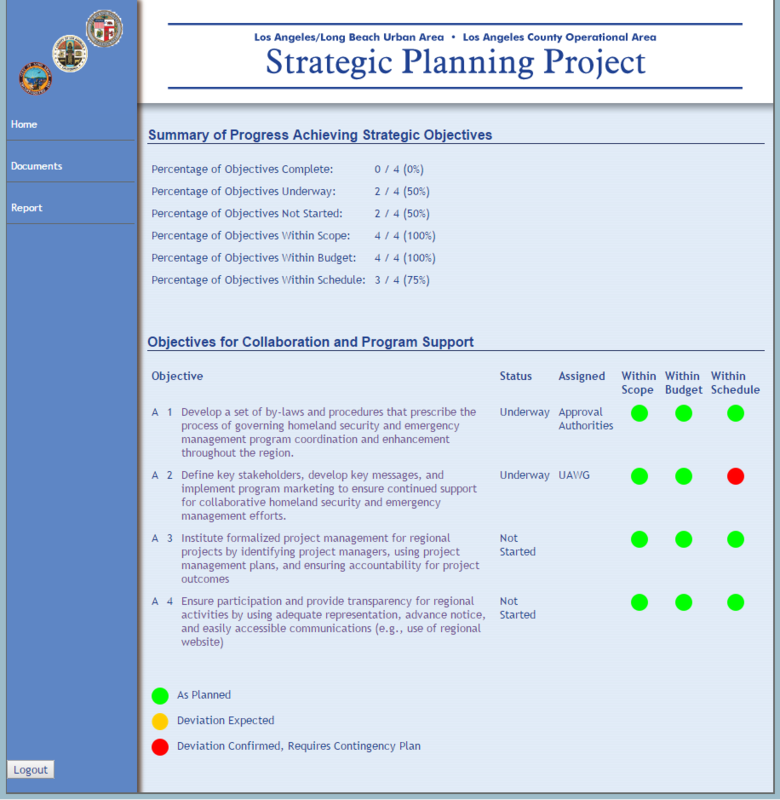 You can login to demo the system and view fictional reports within the system by logging in as username:viewer / password:viewer at http://lacsp.warrick.net. For a demo as a system admin or editor, contact me.